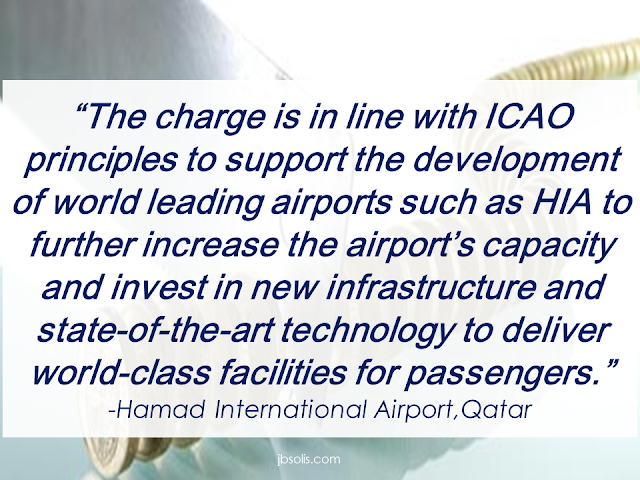 Hamad International Airport in Doha,Qatar will be charging exit tax on the passengers flying out out of Qatar. 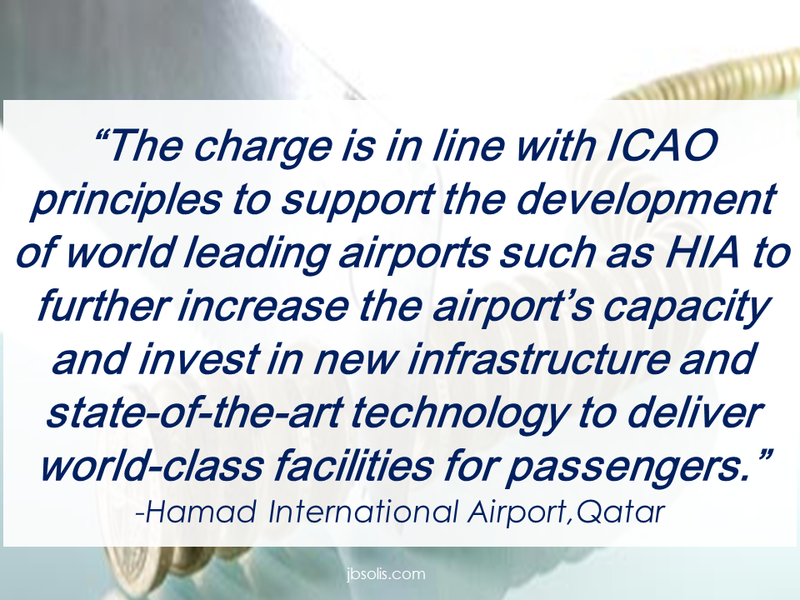 There is a circular distributed to the agencies with an adviseory that Hamad International Airport will introduce a new Passenger facility charge of 35 Qatari Riyal for tickets issued on or after August 30 and for any travel starting December 1 onwards.the fee will be added automatically to the individuals's plane ticket price.Transit passengers who will fly ito and out of the airport within 24 hours will be likewise charged. However,infants under the age of 2 years old without a seat and transit passengers who do not require an aircraft change or involuntary rerouted will be exempted. 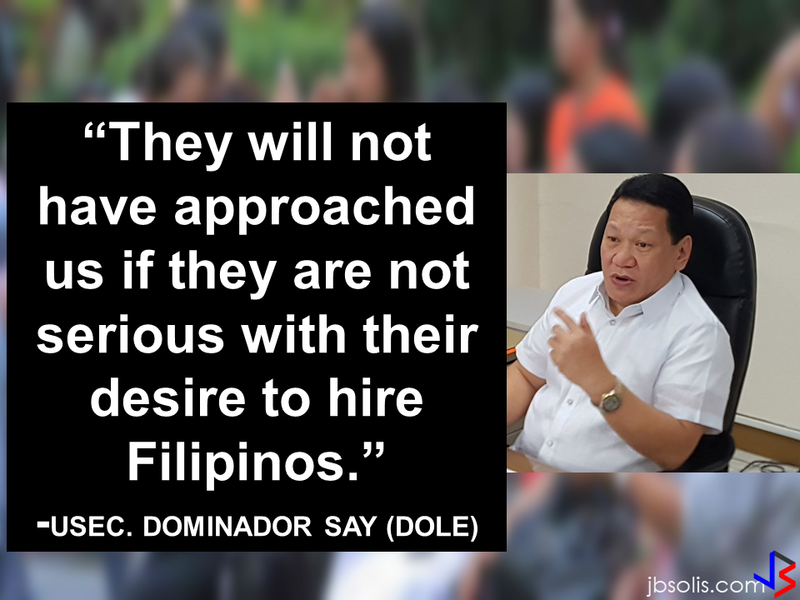 The new charge comes as the government seeks new revenue stream amid the fall of oil prices. In related news,UAE officials announced that the money collected from the new exit taxes will be used for the improvement of Dubai's airport infrastructure.The Dubai's decision to roll out exit tax fees happened earlier this year. 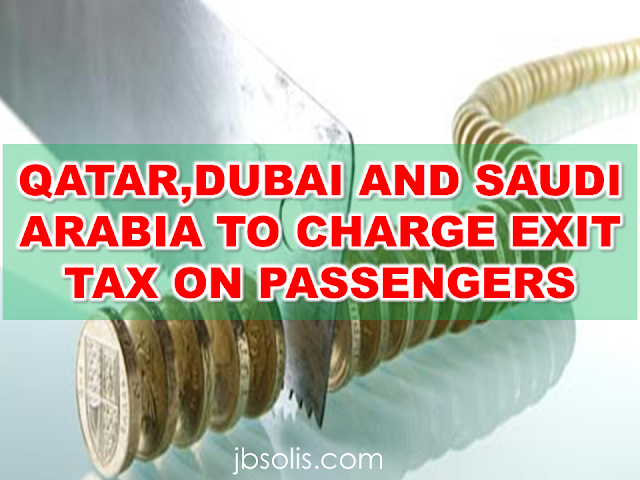 In Dubai,the departure tax will be 35 Dirhams.They already began charging the exit fee last March 1,2016. Dubai International Airport is the worlds busiest airport for international traffic.In January,7.3 million passengers used the said airport with a yearly basis increase of 6.3%.The airport had average monthly traffic of nearly 6.5 million passengers according to Paul Griffiths,Dubai airport chief executive. Meanwhile,in Saudi Arabia,inbound and outbound passengers who will use the airport facilities will be charged with 87 Saudi Riyals.Passengers who will remain on planes in transit will be exempted by paying the said tax. The General Authority of Civil Aviation (GACA) has announced that the fees would be collected from the airline companies.It means the exit tax will be included in your plane ticket cost.